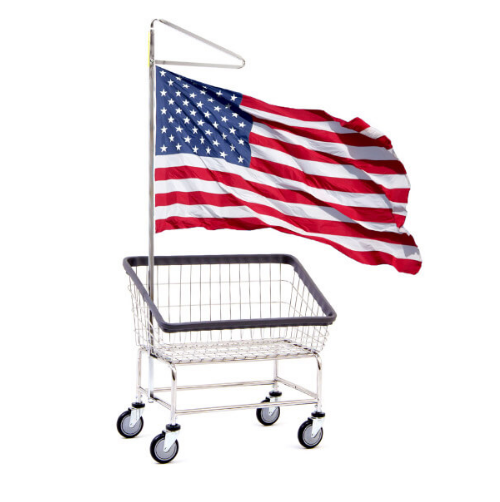 Economy Hamper Stand is a hospital linen hamper at a budget price. Manufactued by R&B Wire, the medical hamper is constructed with 3/8-inch heavy-duty wire. The wire is covered with a durable zinc finish to protect against rust and corrosion. An ABS high impact plastic lid keeps contents covered. The lid is foot pedal activated to allow hands-free operation and added convenience. 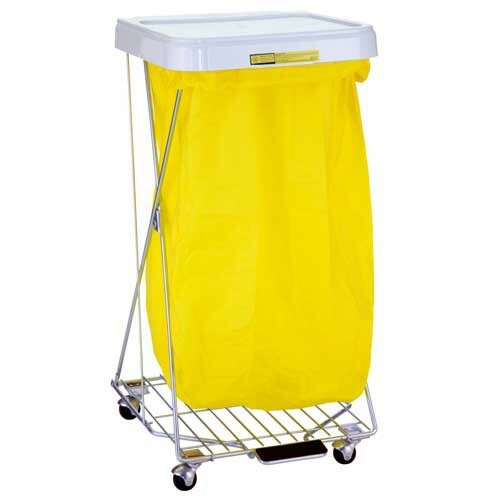 Designed as a hospital laundry hamper, the Economy Hamper Stand assembles easily in minutes and is useful for nursing home applications, clinical care, and homecare. A bag lock holds liners in place. Four ball-caster wheels provide easy mobility. This wire clothes hamper is compatible with all R&B disposable poly-liners (690) and reusable bags (640 and 641). This manufacturer's products are made in the USA. Vitality Medical carries other R&B Wire products, including the Bulk Transport Truck, Hospital Laundry Carts, Hospital Privacy Curtains, and Disposable Poly-Liner Hamper Bags. ABS high impact plastic lid. Bag lock secures liners in place. 2 inch ball casters offer mobility. Foot pedal lid operation for hands-free operation. Material: 3/8 inch wire with zinc coating. Four 2 inch ball caster wheels. Accommodates all R&B disposable poly liners (690) and reusable bags (640 and 641).